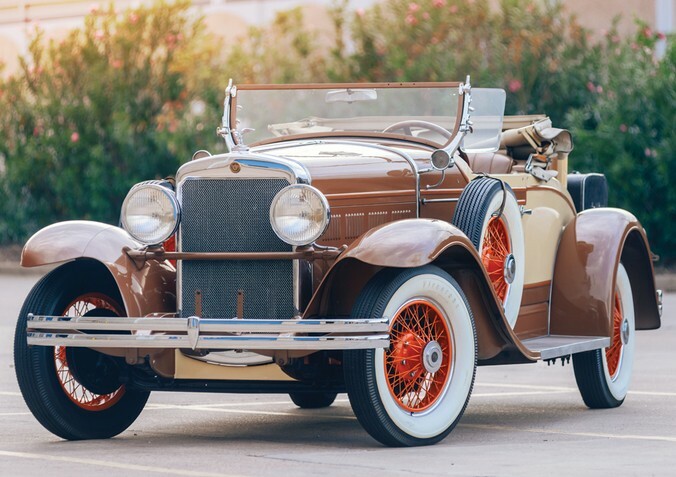 This very pretty Gardner Model 120 Roadster comes from near the end of the Gardner Motor Company Inc. of St. Louis, Missouri. Gardner was one marque that could not make it through the Depression, floundering and failing in 1932. The company traced its roots back to 1919 and Russell Gardner who built buggies and sold Chevys before going into business for himself. Early Gardners were assembled from readily-available parts. This Model 120 uses a 3.7-liter Lycoming straight-eight making 76 horsepower. By the end of the company, Gardners were really nice cars and this is said to be among the sportiest Gardners in existence (there aren’t a whole lot of them to begin with). This one could bring between $40,000-$60,000. Click here for more info and here for more from RM in Hershey. This entry was posted in Uncategorized and tagged 1929, auctions, cars, classic cars, gardner, model 120, rm auctions, roadster by classiccarweekly. Bookmark the permalink.